Your resume is a simple document showing your contact information, your work history, your educational background and other qualifications for a job. To help you organize the information you will need to include in your resume please download this Resume Worksheet. When applying for a job, a cover letter should be sent or posted with your resume. Your cover letter should be specific to the position you’re applying for. Relate your skills and experiences to those noted in the job posting. Your cover letter is your first and best chance to make a good impression! Download this Sample Cover Letter. For more help with your cover letter please click here. You may be ready to take the test. How do you know for sure? You may want to take a practice test to determine if you just need to brush-up on just one or more of the subject matters. 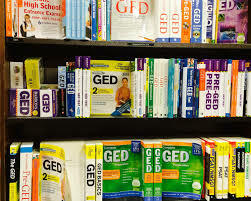 We can provide a Practice GED® Official Test and help you determine if you are ready to take the test or just need to review certain subject areas. We provide GED pre-assessments in order to help you target the areas of study you will need review prior to taking the Official Test. Then we recommend the updated material that will help you pass the test and a learning coach will monitor your progress. Our GED program is self-paced and flexible. Is the test offered in Spanish? Yes, and we can provide you with pre and post-assessments in Spanish as well as with books and study guides that will help you pass the test. Is the GED program at VOICES Education Center free? Yes, all English or Spanish GED classes and individual tutoring is free.